Asanda Sizani – We define what's next — inspired by Africa. On 1 June 2018, former ELLE South Africa Fashion & Beauty Director, Asanda Sizani, started her new appointment as Editor-in-Chief for GLAMOUR South Africa. In addition to representing the magazine’s editorial vision, Sizani is also faced with the challenge of taking it to new heights and paving the way for a much more seamless connection between the brand and its diverse audience. Asanda is also the winner of the 2017 Standard Bank Rising Star Awards in the Media & Advertising category, an award that acknowledges professionals who have a strong vision for the future and an ability to create it. With an Instagram following of 127 thousand and her eclectic personal style inspired by her Xhosa heritage, Sizani is considered a top style maven within the South African scene. However, it is her hard work and years of experience that have enabled her to create a platform of such caliber. With an everlasting passion for [visual] storytelling, Sizani earned a degree in Art Direction and Graphic Design whilst also taking on various freelance copywriting and styling jobs. She then started working as a Junior Producer for a fashion television series – and from then on Sizani was meeting the right people at the right time. 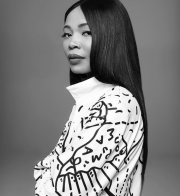 “I was encouraged by Chu Suwannapha (founder and designer of Chulaap), then Fashion Editor at Fairlady, to apply for a vacant Fashion Editor position at Drum”, she told GQ Magazine. 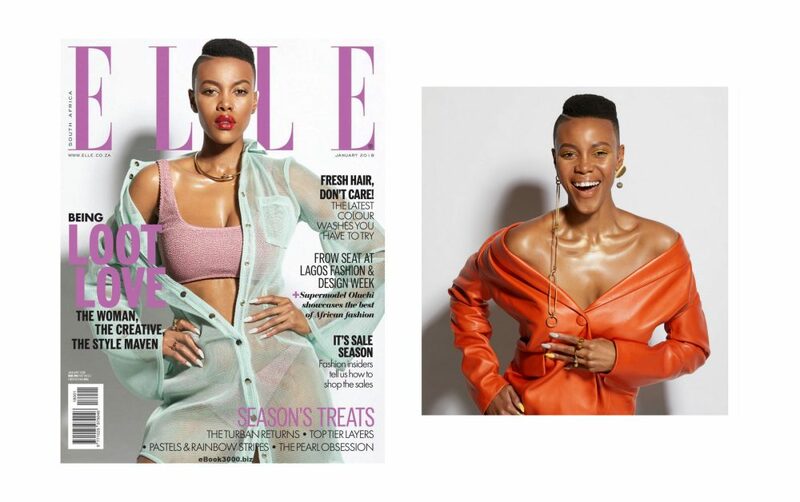 Drum was her first encounter with print magazine and in 2011, ELLE South Africa offered her the role of Fashion Editor (she later became the Fashion and Beauty Director), which was marked as one of her biggest professional and personal highlights and achievements. At present, the Xhosa native has taken on a new challenge that supersedes her previous roles. Following into the footsteps of her senior and former GLAMOUR Editor-in-Chief Pnina Fenster – who stepped down after being in charge of the magazine since its launch in 2004, Sizani’s arrival is coming at a time where [African] women voices are pivotal.